On October 19, 2016, Peter Fleischer, Head of Investor Relations, was awarded the prize for the best communication of financial figures at the annual CIRA conference. In June this year the IR team came 2nd in the Vienna Stock Exchange “ATX” prize category. This article explores the background to the duties and successes of the Investor Relations team. The primary responsibility of Investor Relations is to keep voestalpine shareholders informed on an ongoing basis. The shareholders own the company, have invested significant sums, and bear the business risk. Consequently, providing constant, clear communications and maintaining close relations with investors are crucial success factors when it comes to generating trust in the capital markets. In turn, this trust is the basis for successful financial communications. The IR team informs stakeholders about the Group’s strategic focus, as well as projects and current market developments. Investors and analysts then “pour” this information into numerical models in order to assess whether the voestalpine share is currently undervalued and thus worth buying. This communication process takes place in addition to regular communications, in the form of quarterly and annual reports, and above all in daily telephone calls and emails, and direct meetings at investment roadshows. The department’s most important task is to maintain direct contact with investors. At these face-to-face meetings investors are looking for information about the Group as well as the chance to speak directly with the CEO. Many investors have internal guidelines permitting them to invest only after having personally met the top management. 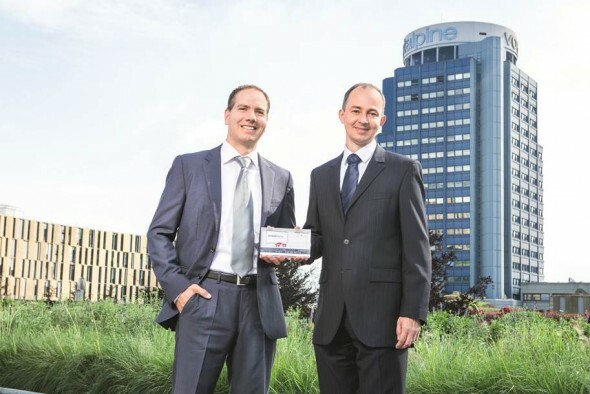 In addition to daily communications, another task is to actively sell the company to the capital markets; just like any listed company, voestalpine must fight to gain attention in the international capital markets. In order to achieve this the IR team organizes regular “Capital Markets Days”. Investors and analysts are invited to these events at which voestalpine presents selected topics, allowing the company to place very specific messages in the market. The most recent Capital Markets Day was held at the Farnborough International Airshow in London this summer where voestalpine presented its activities in the aerospace sector. Corporate Responsibility also falls under the umbrella of Investor Relations. Despite claims that the capital markets are the exact opposite of sustainable, and solely interested in quick profits, over the past years there has been an increasing trend towards sustainable investments. "The voestalpine share is attractive because the company is attractive." The team’s effective work secured them 2nd place in this year’s Vienna Stock Exchange prize for the ATX category. The prize winners were selected by a specialist ÖVFA jury representing the key market players. voestalpine impressed the jury with qualitative factors such as excellent investor support, reporting and management. "It's a very good feeling when your work is objectively assessed as having been good, and that's why, as a team, we are delighted with this prize." The jury evaluated success in investor relations according to criteria including strategy and corporate governance, investor relations, ongoing financial reporting, as well as sustainability and market-related factors.